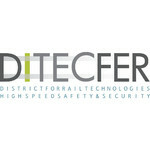 DITECFER – the Tuscan District for Rail Technologies, High Speed, Safety & Security has been created in March 2011 aiming at improving Tuscan enterprises’ competitiveness and their products for vehicles, infrastructures and systems. BTS – Rail Saxony is the largest cluster in the railway industry in Central Germany. We are an association of predominantly small and medium-sized enterprises. We know from our industry experience, how we can best join forces to ease market-entry, win customers and make technology transfer happen. The cluster ensures a more effective use of our science hub and sharpens the profile of Central Germany as a significant stronghold of the rail industry. Clear benefits for our members and growth for the region – that is our mission. As the UK’s largest dedicated B2B networking organisation, the Rail Alliance is all about bringing customers, suppliers and supply chain opportunities together. It is a membership organisation that sits at the very heart of the rail supply chain. Born out of the Manufacturing Advisory Service (MAS – established in the West Midlands in 1996), the Rail Alliance has evolved as a leading representative of the UK rail supply chain community.Its broad spectrum of membership extends way beyond rail and positions the Rail Alliance as the go-to membership organisation for Business-to-Business diversity, ingenuity and innovation. Anchored in Northern France, i-Trans brings together large companies, SMEs and laboratories of all backgrounds in ambitious innovation joint projects, resulting in industrialized or marketable products and services.